Back Care Awareness Week: Prevention Begins at School! Back and neck pain is often seen as only an adult problem but new statistics, along with our own experience of treating children and teens at the Octagon Clinic, suggest this is not the case. Sadly, one quarter of UK secondary school pupils report that they suffer from regular or daily back and/or neck pain. 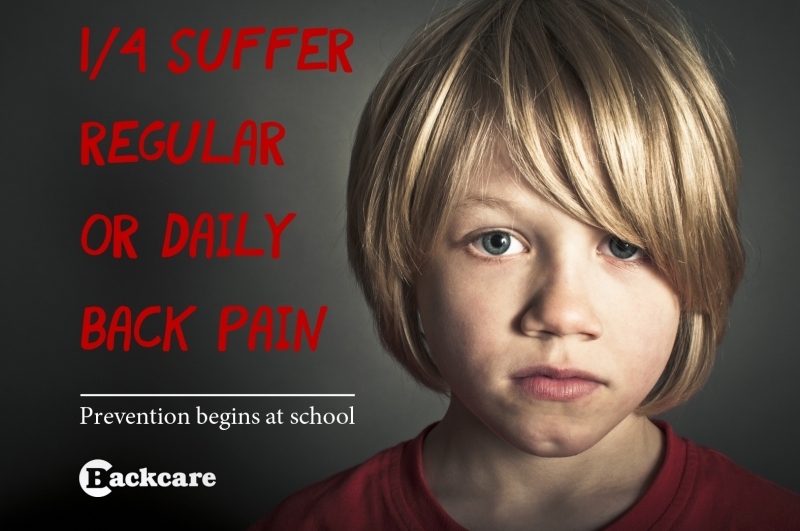 BackCare (the National Back Pain Association) is highlighting this problem during Back Care Awareness Week, 2nd-8th October, and offering solutions to schools to improve pupils back-health. One month into the new-term start your child off with these top Chiropractic tips selected by Octagon Chiro's Hazel and Karen. These should help to keep your kids happy and pain-free throughout the academic year! Back pain was also linked to prolonged sitting.